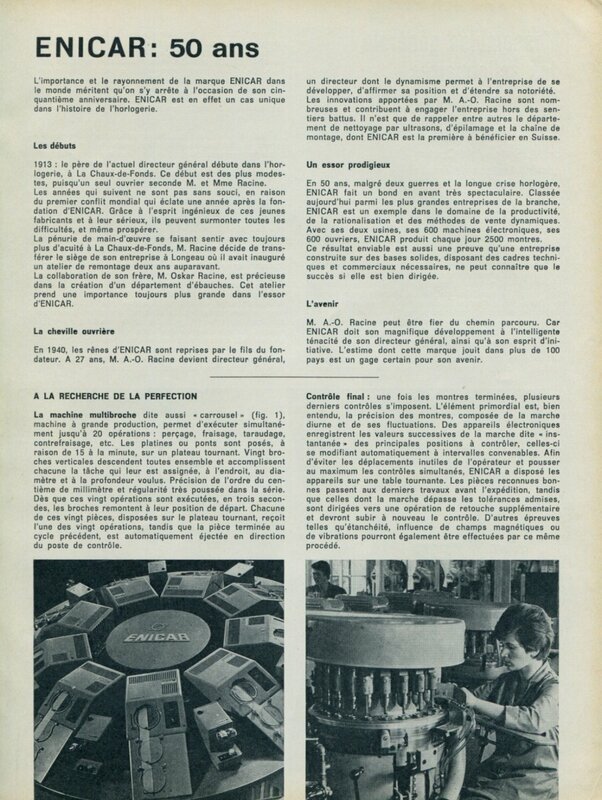 "Enicar: 50 ans" - Original magazine article (magazine clipping) which was removed from a 1963 Swiss magazine. Text in the article is in French. "L'importance et le rayonnement de la marque Enicar dans le monde meritent qu'on arrete a l'occasion de son cinquantieme anniversaire." The article is one single page page in length (on one side of one sheet of paper) and includes two small black and white images within the text. The magazine article was carefully removed directly from a Swiss magazine. It is not a copy or reproduction. The rest of the magazine is not included.